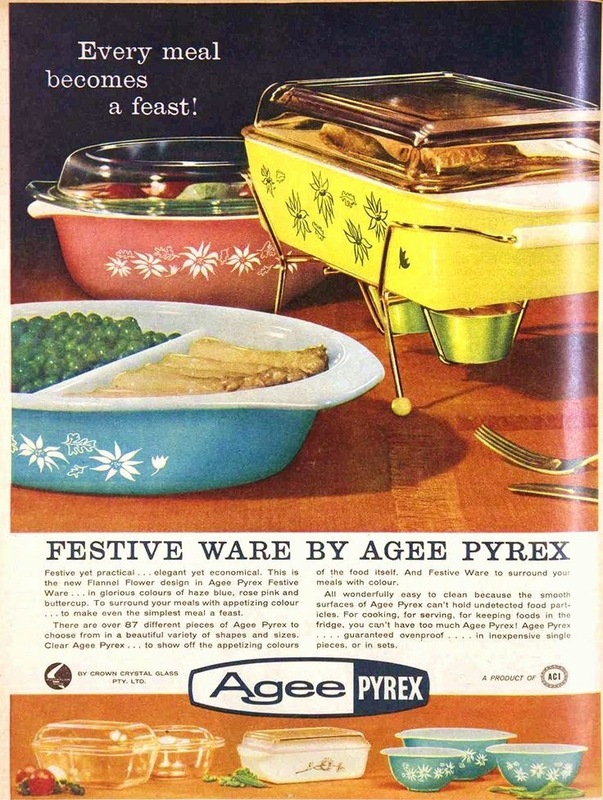 I am always excited when I come across these vintage Agee Pyrex advertisements. 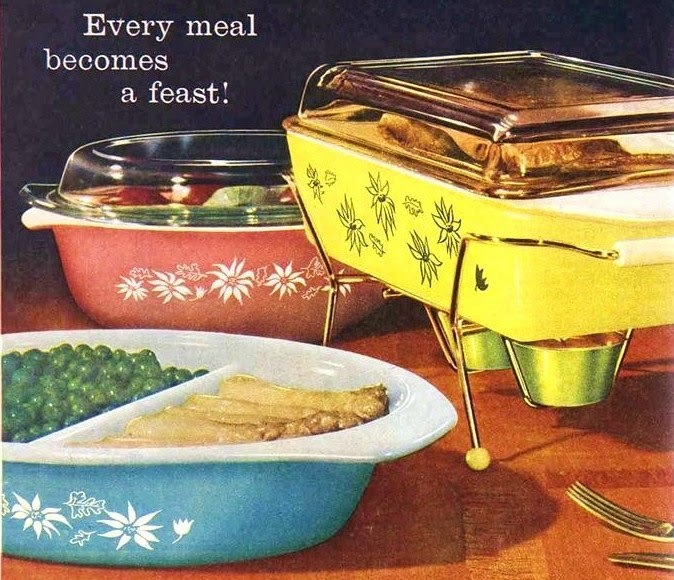 I love seeing all the fun color Pyrex that was produced for other markets. This floral design is named "Flannel Flower". And seems to have came in all the great everyday use pieces you want for the kitchen. Mixing bowls and casseroles. I am loving that sunny yellow casserole with its carrier! So as I roam around looking for pictures of this pattern currently for sale. I saw this wonderful pink casserole. image from here.... and currently SOLD. Dang it! What I might not have realize, is the demand for this fantastic pattern. That gorgeous pink casserole sold for 280.00 dollars.